House Republican Whip Steve Scalise has indicated that a discharge petition for the Born-Alive Abortion Survivors Protection Act (H.R. 962, sponsored by Rep. Ann Wagner) will be filed on April 2nd, during that day’s first vote series. If the petition is signed by a majority of House members, it will force a vote on the House floor. If enacted, the bill would extend federal legal protection to babies who are born alive during an abortion. The National Right to Life Committee (NRLC), the nationwide federation of state right-to-life organizations, strongly urges you to sign the discharge petition. In light of the radical trend that started with the signing of the Reproductive Health Act by Governor Andrew Cuomo in New York, allowing abortion through all stages of pregnancy and removing explicit protections for babies born alive during an abortion, there is renewed urgency to pass the Born-Alive Abortion Survivors Protection Act. The BAIPA was a response to troubling indications, well summarized in the House Judiciary Committee’s excellent 2001 report on the legislation, that some abortion providers and pro-abortion activists did not regard infants born alive during abortion procedures as legal persons – especially if the infants were deemed to be “pre-viable” (i.e., have limited life expectancy due to prematurity). Such a mindset puts a substantial number of live-born infant persons in jeopardy of gross neglect or overt violence. Live birth, as defined in 1 U.S.C. §8, may occur a month before “viability.” BAIPA made it crystal clear that life expectancy is entirely irrelevant for purposes of legal personhood. However, in the years since 1 U.S.C. 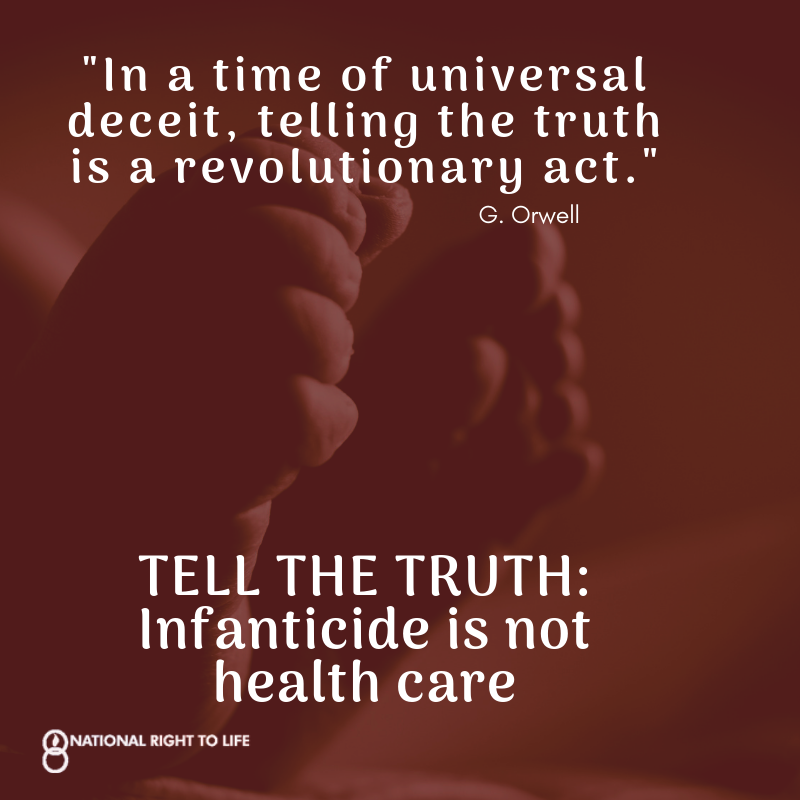 §8 was enacted, evidences have multiplied that some abortion providers do not regard babies born alive during abortions as persons, and do not provide them with the types of care that would be provided to premature infants who are born spontaneously. In some cases, such born-alive infants are even subjected to overt acts of deadly violence. In 2013, Dr. Kermit Gosnell of Philadelphia was convicted under state law of multiple homicides of such born-alive infants, but such a prosecution and conviction is uncommon. In some jurisdictions, local authorities seem reluctant to investigate reports of infants born alive during abortions, or to bring appropriate indictments even in cases in which the publicly reported evidence of gross neglect or overt lethal acts seems strong. Public concern was further heightened by a series of hidden-camera videos released by the Center for Medical Progress, in which various persons described events and practices within certain abortion clinics that, at the very least, raise questions about whether it is generally recognized among abortion-clinic personnel that a born-alive baby is a legal “person,” whether before or after “viability.” Other passages raise similar questions regarding some persons who operate firms that obtain and sell baby body parts, obtained from abortion clinics. National Right to Life believes that it is time for Congress to act decisively to put the entire abortion industry on notice that when they treat a born-alive human person as medical waste, as a source for organ harvesting, or as a creature who may be subjected to lethal violence with impunity, they will do so at grave legal peril. H.R. 962 would enact an explicit requirement that a baby born alive during an abortion must be afforded “the same degree” of care that would apply “to any other child born alive at the same gestational age,” including transportation to a hospital. This language does not dictate bona fide medical judgments nor require futile measures, but rather, requires that babies born alive during abortions are treated in the same manner as those who are spontaneously born prematurely. In addition, the bill applies the existing penalties of 18 U.S.C. Sec. 1111 (the federal murder statute) to anyone who performs “an overt act that kills a child born alive.” This would apply, for example, to an abortion clinic staff person who dissects a breathing born-alive infant in order to harvest an intact liver, or to an abortionist who ends a born-alive baby’s whimpers with a sharp blow to the skull, or by snipping the spine. The bill provides a civil cause of action to women who are harmed by violations of the act. Should you have any questions, please contact us at (202) 626-8820, or via e-mail atfederallegislation@nrlc.org. Thank you for your consideration of NRLC’s position on this important legislation.